Meat eaters better check their hot dogs before throwing them on the grill this weekend. John Morrell and Co. is recalling more than 200,000 pounds of hot dogs after customers found "metal objects" in the franks. 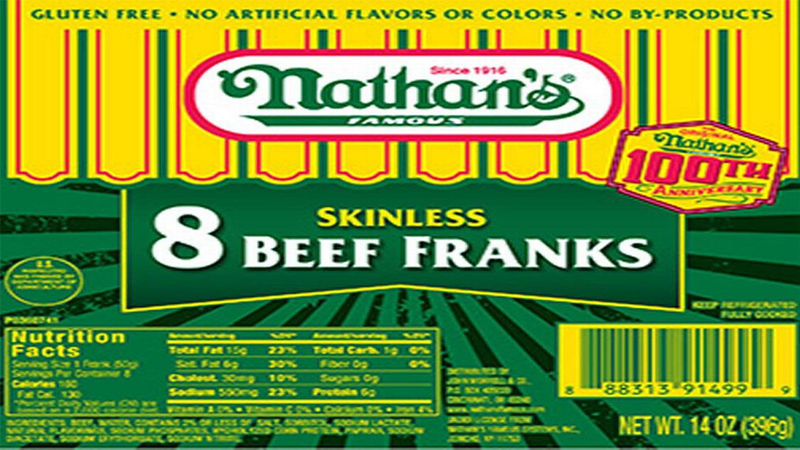 The hot dogs in question are "Nathan's SKINLESS 8 BEEF FRANKS" with a use-by date of Aug. 19, 2017, and "Curtis BEEF MASTER Beef Franks" with a use-by date of June 15, 2017. They all have the establishment number "EST. 296" listed on the side of the packaging. The company has received three different complaints about consumers finding metal in their hot dogs. The U.S. Department of Agriculture says the company distributed the hot dogs nationwide; however, they have not had any reports of people getting sick or injured from the metal objects in the franks.